The board takes over from Alfredo Junior, Tatiana Glad and Claudia Valladares, who after three years of service now finish their terms as board members, with the exception of Tatiana Glad who assumes the role of Board chair to facilitate a smooth transition into the new year. Having been a part of the Impact Hub Network for over 10 years, Alberto is the Strategy & Development Director at Impact Hub Kings Cross in London. During his time with the network he has co-founded and directed Impact Hub Milan, spearheaded the network’s engagement with the European Union, and worked to develop programs and secure funding for Impact Hub’s Scaling Program, which accelerates ventures’ operations into new markets. As the board’s External Relations lead, Alberto’s expertise in the social entrepreneurship sector will help to build partnerships for the network’s next level strategy. With a background in International Business, Katie first got to know Impact Hub through volunteering at Impact Hub Ottawa. 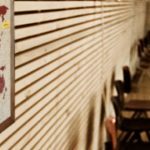 She soon took over Operations and Finances before advancing to the role of Director of Learning and Development, and later became Managing Director. At this point two years ago, she was also accredited as a BMW Foundation Responsible Leader. As Deputy Chair and Secretary of the board, Katie will continue to build thriving Impact Hubs, and accelerate trans-local collaboration. Before becoming the Co-founder and Executive Director of Impact Hub San José, Costa Rica, Mónica played a key role in San José’s non-profit sector, supporting technology in education through local programs and events before working with Costa Rica’s Vice President to co-create the first National Strategy for Social Innovation. In her new capacity as the board’s head of Network Communications and Engagement, Mónica will provide invaluable guidance and insight to the Impact Hub network. Described by her community as a driving force for Impact Hub San Salvador’s financial operations and programs, Patricia brings to the board over 11 years of experience and expertise in the finance sector. As Co-founder & Executive Director of Impact Hub San Salvador, she will take on the role of the board’s Finance Lead and Treasurer, ensuring a secure and stable future for the network. A past lawyer, photojournalist and activist, Sara co-founded Impact Hub Yerevan in 2014 where she currently serves as CEO. While strengthening the city’s entrepreneurial ecosystem through Impact Hub, Sarah has also created impact through photojournalism, lecturing, and organizing election monitoring campaigns. Upon taking up her new board position as the Association Membership lead, she aims to achieve impact at scale by developing partnerships, funding, and new Impact Hubs in developing countries. This new Association Board of Directors, chosen democratically considering regional representation, represents the Impact Hub Association; a not-for-profit association of all Impact Hubs in the network, structured by a democratic governance model. Please join us in welcoming our newly elected board members! We look forward to collaborating with them over the next three years to build a better, more sustainable future for everyone. We would also like to take the opportunity to thank our outgoing Board members for their service in evolving our network and its governance over the past years. 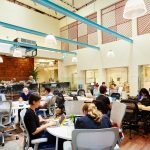 Impact Hub is a global network focused on building communities for impact at scale. 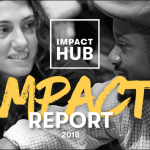 With 100+ communities of 16,000+ change-driven entrepreneurs in more than 50 countries across five continents, Impact Hub is one of the world’s largest community and accelerator for positive change.